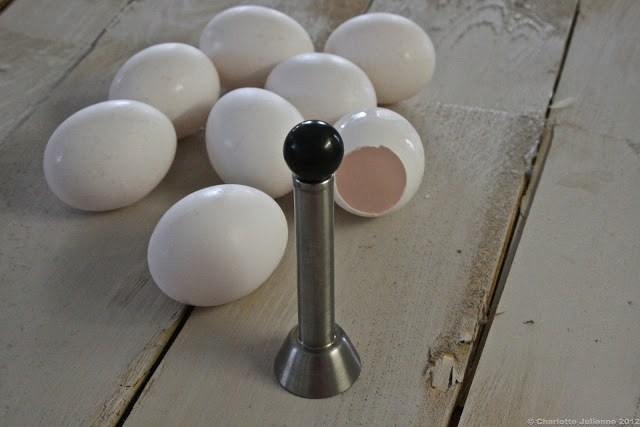 A while back when cooking in a kitchen run by a British Chef with a French Chef de Cuisine, I was introduced to this fabulous tool which removes the tops of eggs. With no luck after looking everywhere for one of my own, my wife surprised me with one she had purchased on line. We have been a bit obsessed with it ever since. Whilst it is great to eat seasonally when possible, we couldn’t resist this asparagus today at our local vegetable shop and wanted to bring it home to make a lovely lunch of Hollandaise and jumbo asparagus. Although you can leave the asparagus as it is, a classic way to prepare it is to peel just below the buds- bending and breaking the end where it naturally snaps. For the Hollandaise, take a stick of unsalted butter and gently heat it in a pan. 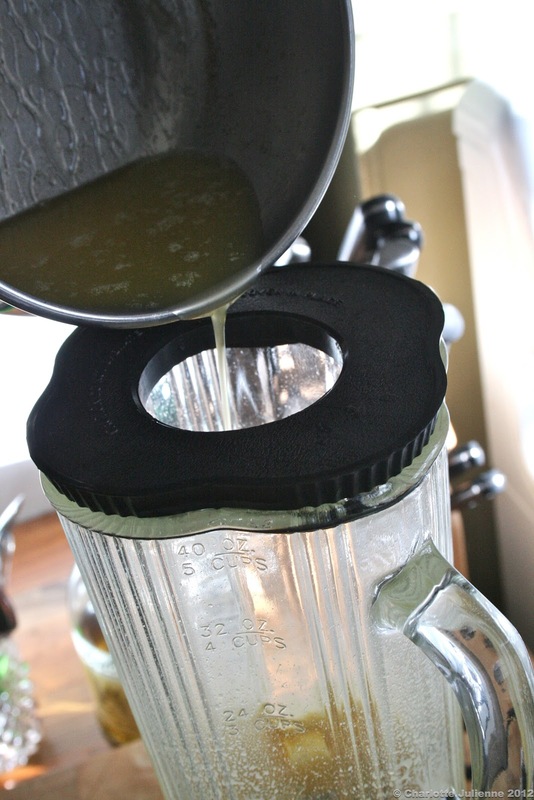 As the solids float to the surface skim them off so that you are left with a clear, clarified butter. Place a little cider vinegar and some peppercorns in a pan and gently heat until reduced to about half a teaspoon. In the meantime remove the tops of uncooked eggs. 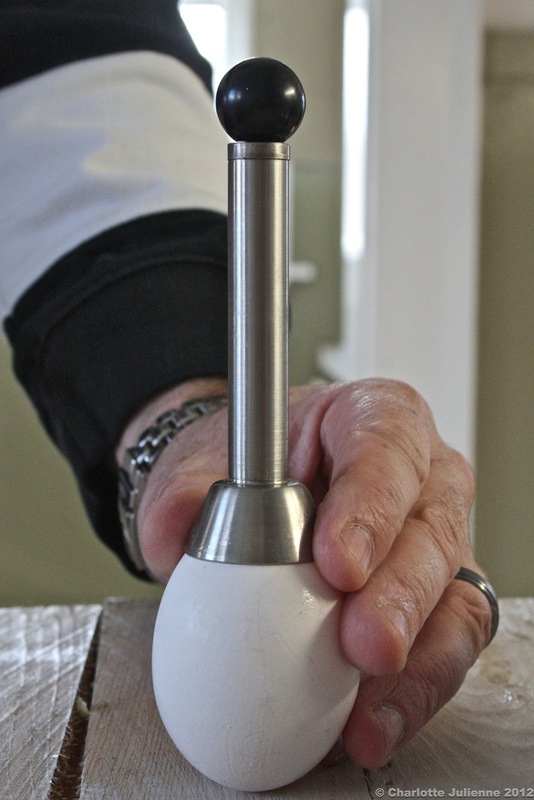 We like to use our favorite egg tool. We then separated the yolks which we used in the Hollandaise and discarded the whites. We placed the yolks and the vinegar reduction in the blender and then whizzed on a high speed for about a minute before drizzling in the clarified butter at a slow pace. In the meantime we blanched some asparagus and then immediately placed in an ice bath. As your Hollandaise finishes add a squeeze of lemon juice and some salt and pepper to taste. Take the finished sauce and spoon into your hollowed out eggs. 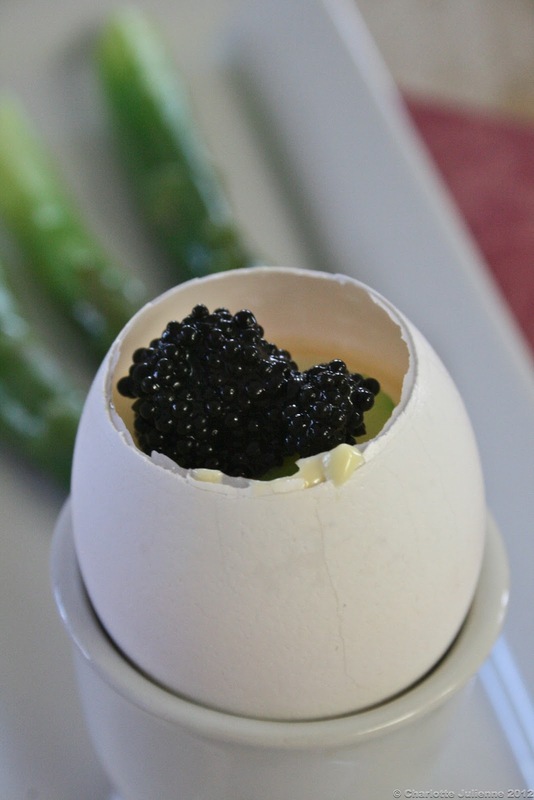 We added two thin shavings of asparagus to the tops of our Hollandaise filled eggs before adding a spoon of caviar to the top. 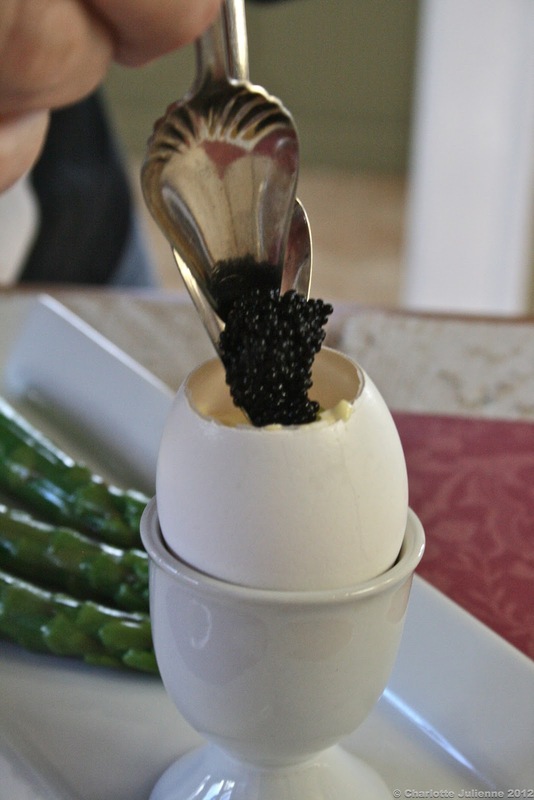 Although it may be decadent for a lunch, we found that delicious steamy asparagus, creamy Hollandaise with a lemony bite and a few pearls of caviar was the perfect way to begin our holiday week.